Caught the tail end of the annual Easter gathering of friends and their families, which this year was held at the the suitably grand Drunaig Lodge in Letterfearn. I weighed up taking the bike by train to Plockton, and then cycling round, but a six pound single ticket to Sheil Bridge on the Scottish Citylinking bus soon scorched that idea. 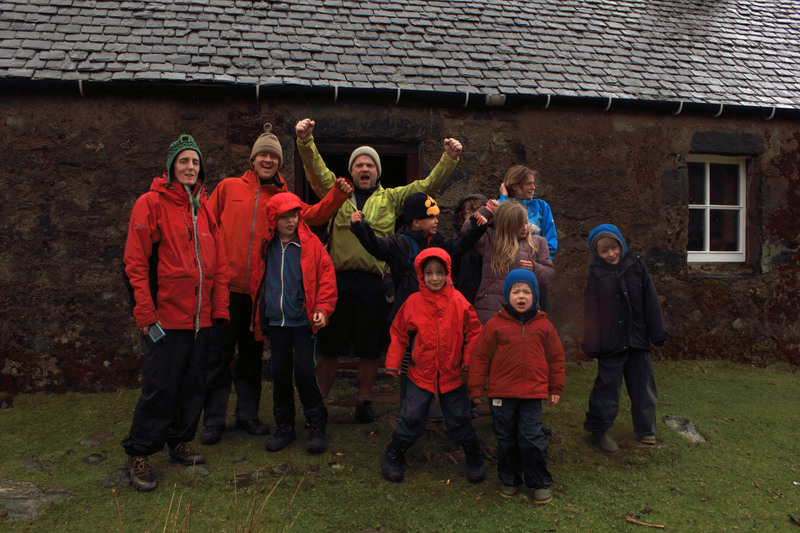 Managed to corral the entire party to Surdalan bothy in Glen Elg for the day, and was even able to borrow a bike so that I could cycle over the Mam Ratagan pass. First real test of the new updated version of my back, which held up remarkably well. 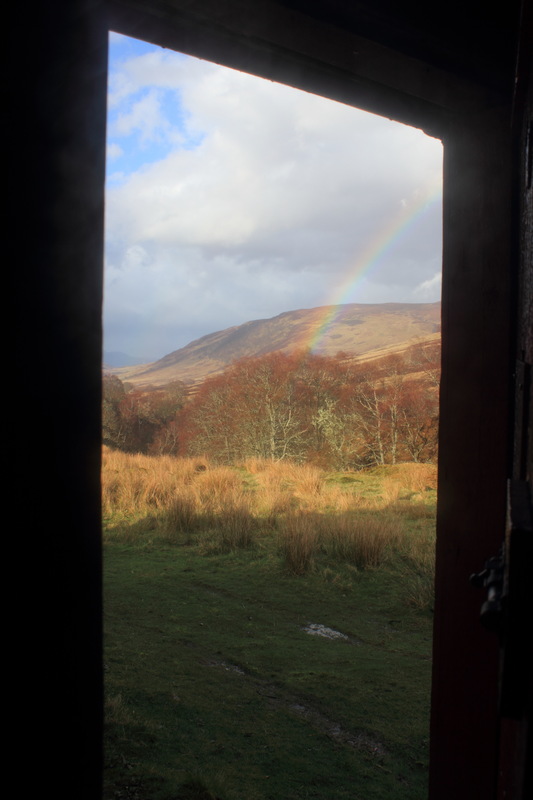 At the end of the week, I cadged a lift to Fort Augustus, and spent a couple of nights in Glen Buck bothy, on the western fringes of the Monadhliath. I had a reasonable supply of food gleaned from the leftovers at the house, but had unforgivably neglected to procure any alcohol, and the nearest shop was a compromising detour away. 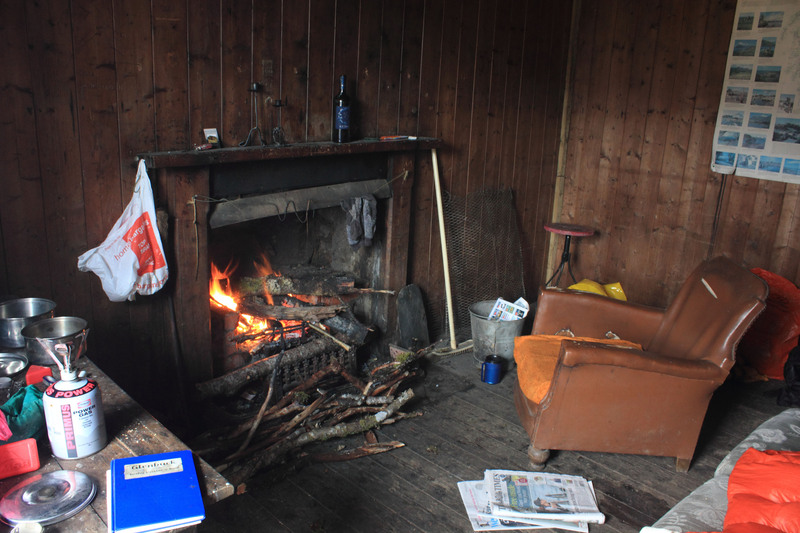 So I spent the first dry night in a bothy in goodness knows how long, pacing out the articles in my Saturday Guardian, and keeping the fire well stocked up. 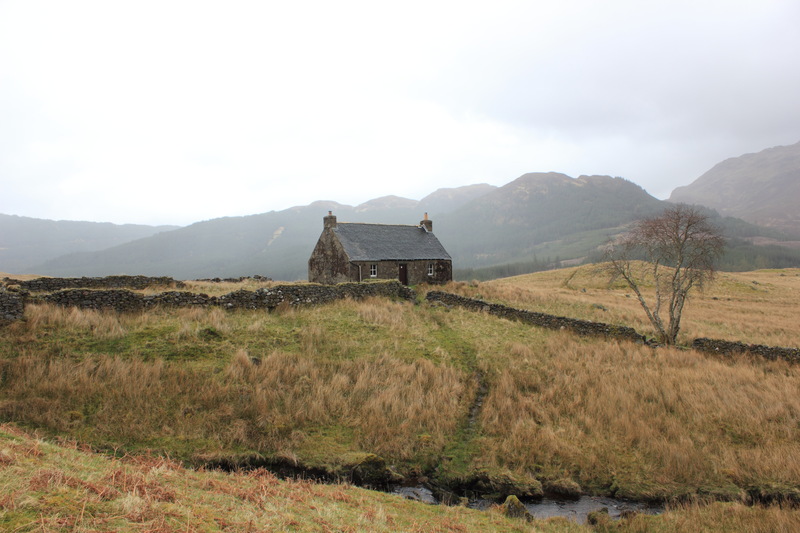 The next days plan was to route march across the moor to Blackburn bothy, which lies on the track which winds its way through the Corrieyairack Pass. In the morning the weather was pretty foul, but needs must, and off I trekked the four miles over the hill, hoping to scuttle back as soon as I could. 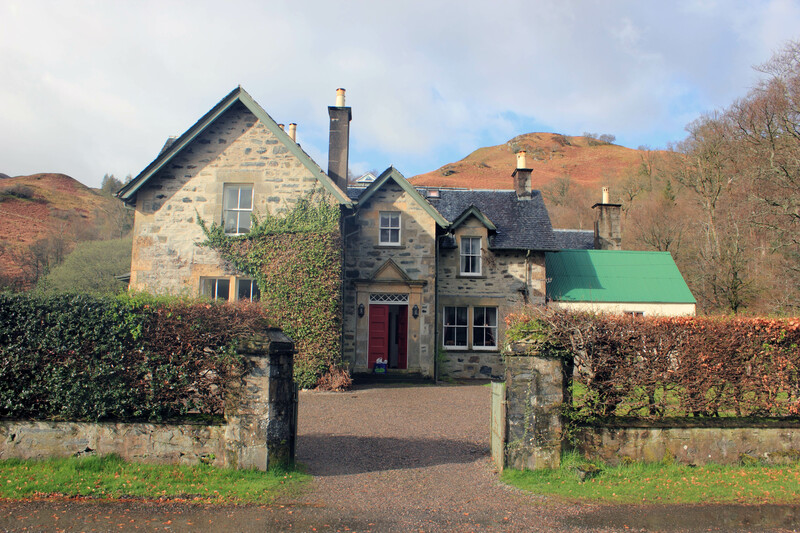 However, in the end I carried on down the path into Fort Augustus, the pull of a bottle of wine for the second night just to difficult to resist. The only problem with this impulse, was that I had to hitch three miles back down the road towards Invergarry, to where the path heads back up Glen Buck. I’d already got a lift down the single track road to Letterfearn from Sheil Bridge, and again I was in luck. In fact the next day I was inspired to hitch back to Fort William and the train home, and got a lift from a lorry driver just before the bus turned up. 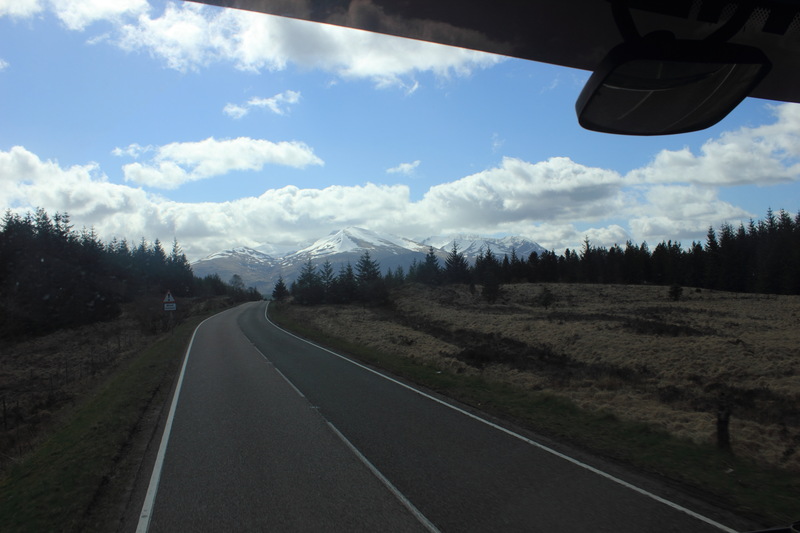 This entry was posted in lazy road trips and tagged Blackburn of Corrieyairack, Glen Buck, Surdalan on April 12, 2014 by bothiesonabike.